Managing the high-traffic flow through a restroom can be a major challenge. With so many guests visiting the restroom, difficulties can arise with cleaning staff’s ability to keep the restroom clean and maintain adequate supplies to service users. On top of that, maintenance staff still must find enough time to focus on their other important cleaning tasks. 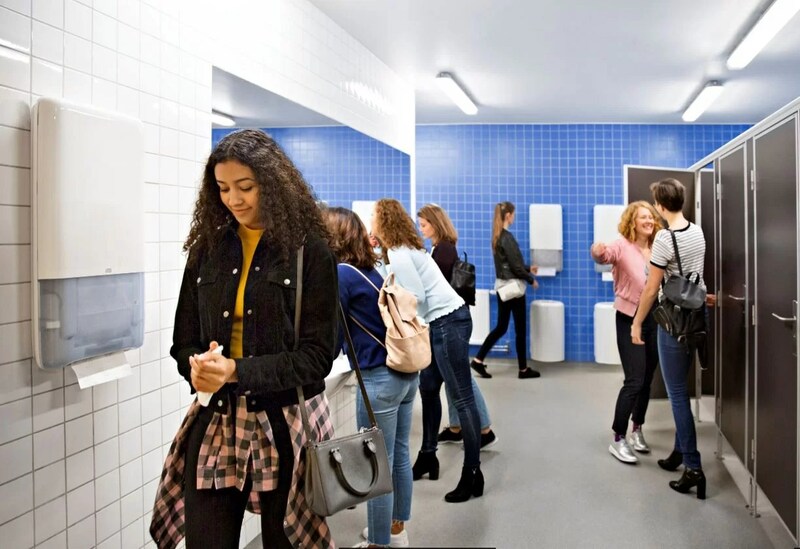 Well, here’s where the Tork® PeakServe® Continuous™ Hand Towel system can assist your facility in managing restroom flow and getting crowd ready! PeakServe is a revolutionary towel dispensing system designed for high-traffic restrooms in airports, convention centers, stadiums, and amusement/theme parks. It’s a continuous towel system that uses compressed bundles to provide more towels and less refilling. So, guests readily have product available—getting in and out faster—and cleaning staff can spend less time servicing dispensers. Demanding restroom environments pose a myriad of concerns, all which Tork PeakServe can help your facility resolve. It’s not a roll towel, nor a folded towel but a continuous hand towel system offering exceptional capacity for any heavy-traffic restroom. For facilities with vast spikes in restroom traffic, being able to service many guests at peak times is vital. PeakServe offers 250% more hand towels compared to traditional folded towel dispensing systems. This means you can avoid product run outs. PeakServe also keeps guest moving through the restroom with faster dispensing—serving guests in 3 seconds, which is quicker than the drying time of jet air dryers. Research shows that dirty and overcrowded restrooms are the number one issue for guests at high-traffic venues. If your facility is perceived as having an unclean restroom, this can have negative consequences on your facility’s reputation, image, and bottom line. With its unique design, PeakServe ensures that there is always a towel available. This frees up maintenance staff to focus on other important cleaning tasks to keep your restroom and overall facility in pristine condition. To be as efficient as possible, facility cleaning staff often have set maintenance schedules. This means they don’t have time for frequent traveling back and forth to check restroom paper supplies. 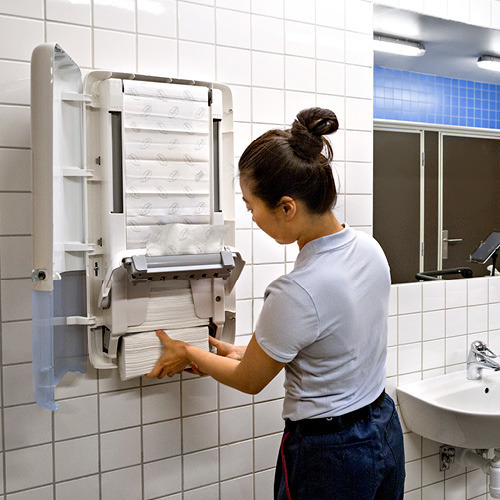 With PeakServe, up to 600 more guests can be served between dispenser checks compared to folded towels—allowing maintenance staff to top-up product and refill when it suits them. When cleaning staff are servicing restrooms, they include a variety of products on their cleaning cart: paper refills, chemicals, wipers/rags, mops, etc. This means they need to be efficient in what products they carry and store. PeakServe allows maintenance to literally double the towels they carry and reduce the number of trips for additional stock. PeakServe’s continuous towel bundles are compressed by 50%—meaning product takes up less storage and cart space—allowing more room for other necessary service items. Please contact Swish find out more about PeakServe! And watch the PeakServe in action on the Swish YouTube channel. You can never be too prepared!